Size: approx. 1-2 mm. Photo: 08/21/11, noon. 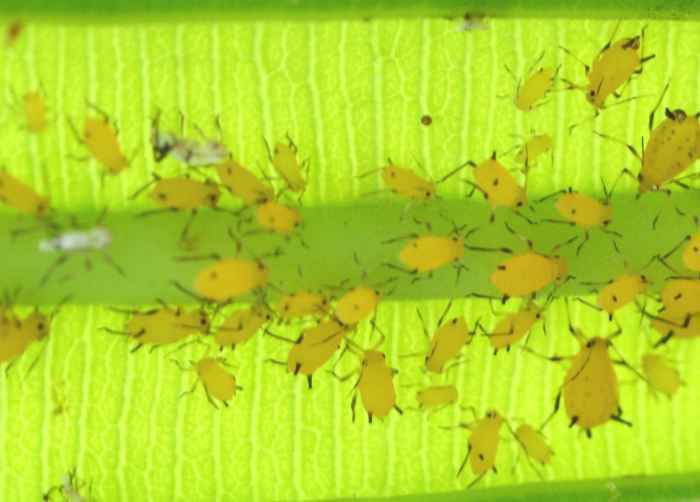 Oleander Aphids (Aphis nerii) feed on the sap of milkweed and oleander leaves. They reproduce without males (parthenogenetic) and tend to give birth to nymphs (not eggs). Some species of ants "farm" aphids. 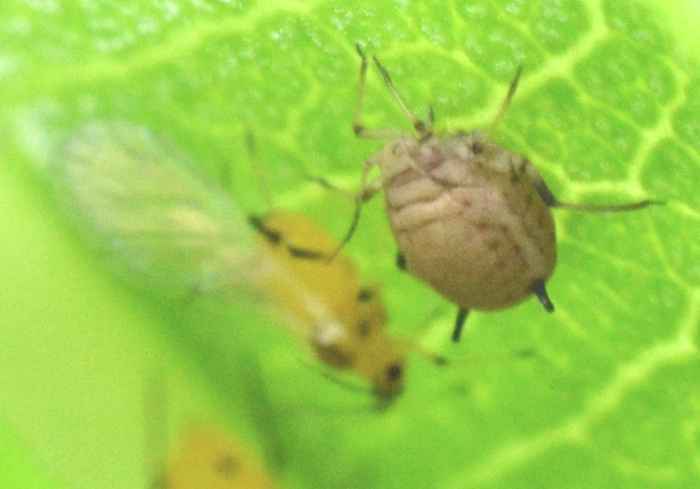 The small photo shows a winged female and a brown mummy that got attacked by a parasitic wasp (not shown).